UKIP’s Gina Scotting admitted to the Herald she called Conservative district, parish and county councillor Ann Bridges an ‘evil b***h’ after a vote to adopt the Adur Local Plan at a meeting on Thursday. Mrs Scotting’s comment came after the Tory councillor for Widewater abstained in the crucial vote - but she insists she had a ‘right to say it’ as she was attending as a resident and not a councillor. 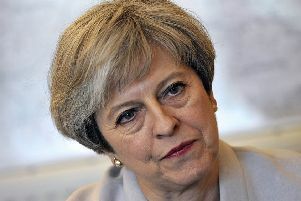 She told the Herald: “She is there to represent whoever voted for her and by abstaining on an important vote like the local plan she let everyone down. Regardless of what they think she is obliged to vote ‘yes’ or ‘no’, not to abstain. I know they give them that option but it is morally and ethically wrong to do that. She has let down everybody who voted for her. Mrs Scotting has faced calls to resign from residents and opposition councillors on social media. Mrs Bridges said she had lodged a formal complaint - but Adur District Council which would oversee any standards process declined to comment. When Thursday’s full council meeting resumed following the plan’s adoption, Tory Lancing councillor James Butcher said he wanted the comment - made during a break in proceedings - to be on public record. The code of conduct for Lancing parish councillors states members shall abide by it by ‘always treating people with respect’.